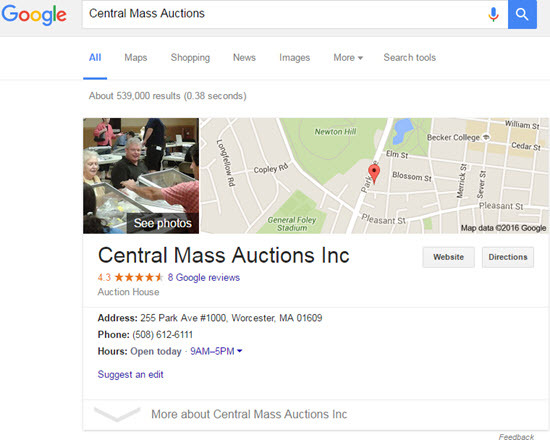 Google Makes Local Knowledge Graph King – for a Day? 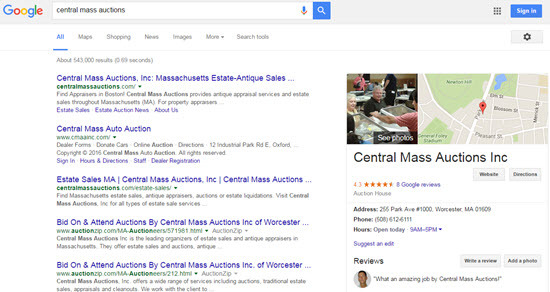 When you search for a specific local business, you may no longer see the knowledge graph appear in the right-hand sidebar. Google appears to be testing its position on the SERPs. The knowledge panel has moved to the left and fully above the fold. It’s gone from shy prince in the margins to turkey-leg-chomping king in the middle of the court. Of course, after I went to all the trouble of writing those two paragraphs, the knowledge graph moved back to the right. And now I’m seeing the new layout again. It seems to be another of Google’s tests, but it may be the start of a permanent change. It may be partly for user-experience and to show local “one-box”-type results in a way similar to how they appear on mobile (that is, front and center). I’m sure it also fits into another of Google’s schemes to squeeze out more AdWords revenue, though at this point it’s not clear to me how. 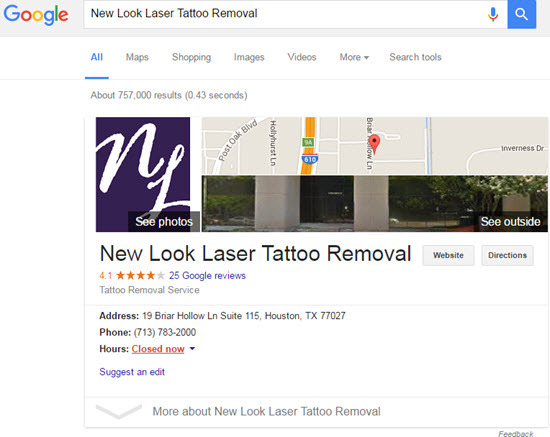 What would a bigger, bolder knowledge graph mean for you, the business owner? Probably nothing you weren’t aware of already. But if this change sticks, your Google reviews will get even more noticeable, important, and worth working on. Have you seen this larger, shifted knowledge graph when you search for a company by name? What do you make of the test? What do you think Google is trying to accomplish? 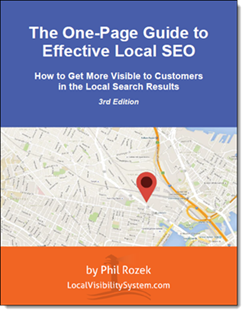 Facebook has been a sleeping giant in the local-reviews game for a couple of years now – just as it’s been a sleeping giant in local search in general for longer. It’s an excellent place to get reviews, because it’s got the user-base, because it’s quick and easy to post a review, and because Facebook reviews don’t get filtered. My only gripe has been that your Facebook page doesn’t show “review stars” when it shows up in the search results. I tell every client to get at least a few reviews on Facebook (usually with a review handout like this), among many other sites. Unlike Yelp, it’s one site that every business can and should get a toehold in. In that respect, it’s second only to Google in local-search ecosystem. Now you have an additional motivation to scare up some reviews on Facebook and to work it into your long-term reviews strategy: your average ratings there may show up for brand-name searches near the very top of the page. In some cases your Facebook stars will show up for broad search terms (as in the first screenshot I showed). To me, this is good news. 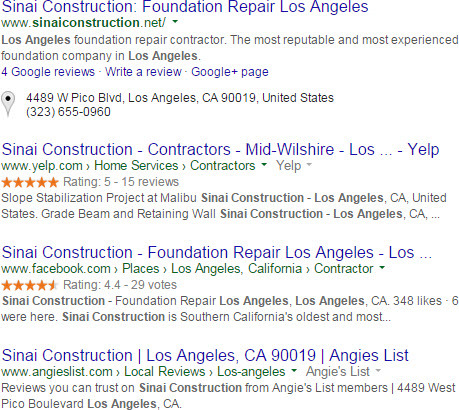 The extra visibility means that probably more business owners and customers will pay attention to review sites other than Yelp and Google+. I think quality-control will be an issue for Facebook, but that’s the case everywhere. 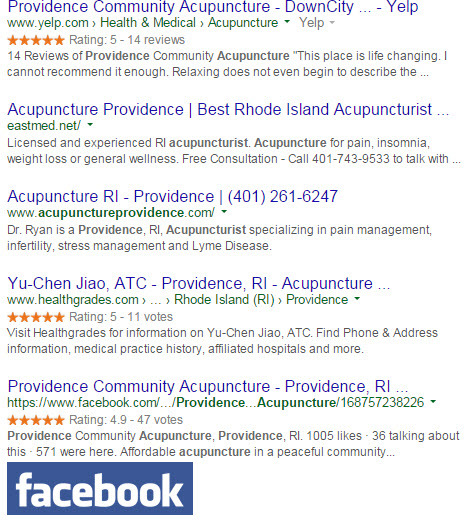 Where does Facebook fit into your review strategy – and will that change?